Lenovo is looking into ways to boost its mobile business, and according to the firm, a partnership with Research in Motion may just be the way to go about it. Speaking at the World Economic Forum in Davos, Switzerland, Lenovo Chief Financial Officer Wong Wai Ming told Bloomberg, "We are looking at all opportunities - RIM and many others." "We'll have no hesitation if the right opportunity comes along that could benefit us and shareholders," Wong added. The comment immediately set off a flurry of excitement, including a 3 percent rise in RIM stock at the thought of a Lenovo bid. How likely is it, really? 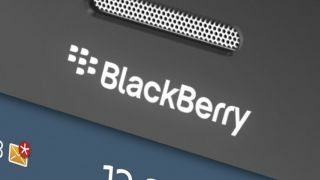 Over the last year RIM has been changing its tune when it comes to hardware partnerships, shifting from a firm no-sell policy to a more open consideration of selling its hardware production side after launch of BlackBerry 10. Meanwhile Lenovo, despite rhetoric of leading a PC plus era in the tech industry, is looking for ways to make a splash in the ever-increasing mobile marketplace. On paper a Lenovo/RIM deal seems like a match made in tech heaven. But there are significant hurdles that could easily break down Lenovo and RIM's partnership possibilities, chiefly from government regulations. An acquisition of RIM's size could require approval from the Canadian government to pass. Earlier this week, Canadian Industry Minister Christian Paradis responded to the possibility of a RIM sale telling Reuters that, "We hope to see RIM remain a global leader and player, and make sure it can grow organically." Any deal or partnership would also of course hinge on how the first crop of BlackBerry 10 handsets fare after the Jan. 30 launch. RIM may be more open to a deal these days, but it isn't in any hurry to sell if BB10 is a success.